MONDAY POST ~ Creativity in a few of its many forms, photography, art, crafts, and poetry. Fill your inner spirit with the divine and express your self with your flowing creativity in your own unique style. Today we have for you a slightly 'macro photo' of a little sparrow who is perched on the lobster traps put away for the season. 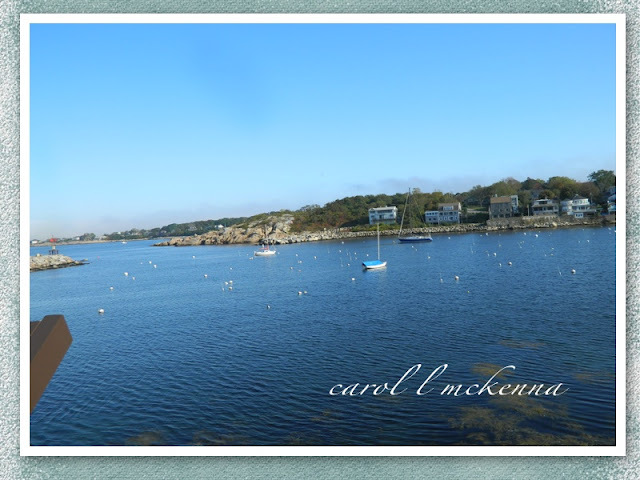 We also have photos of Our World with the harbor free of its beautiful boats. 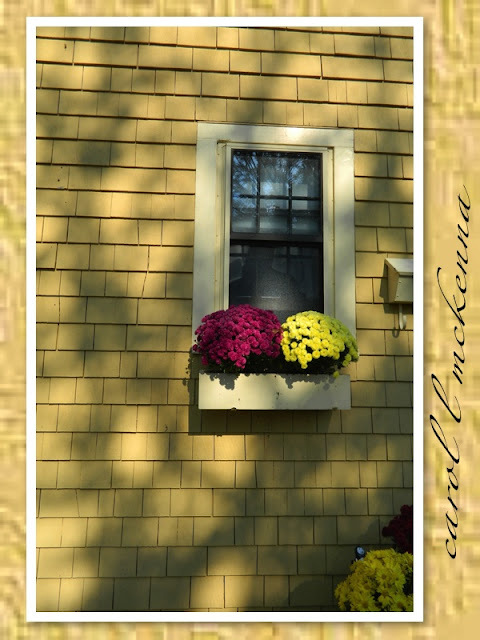 Then we have a 'favorite photo' of fall mums and a delightful window. Finally some poetry for you. Set a spell and enjoy your favorite beverage and drink in the beauty of the world expressed on one little blog. Then click on the links below and explore and expand your world with delightful creations. Wishing you the best the week has to offer. Everything here is wonderful but I must confess the first shot is my favorite. It's got so much color and texture! Lovely shot of the harbor! What a wonderful post Carol. 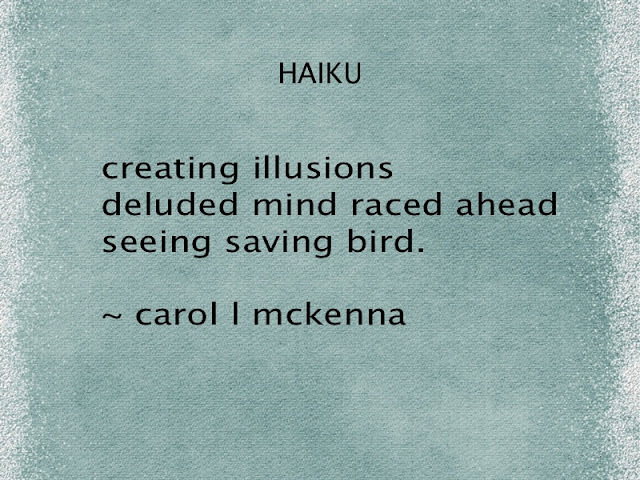 I love the pictures and the haiku you have written on 'phantom' is wonderfully composed ... thank you for being part in Carpe Diem, seize the day. So beautiful Carol! your poetry is always so wonderful and all your gorgeous photos and creations inspiring! beautiful! Wishing you a fabulous week ahead! Gorgeous! I love the mums. Mine always die so I respect anyone who can keep them alive haha. Beautiful pictures - I love the little sparrow :) Thanks for sharing your lovely photos and have a wonderful day! 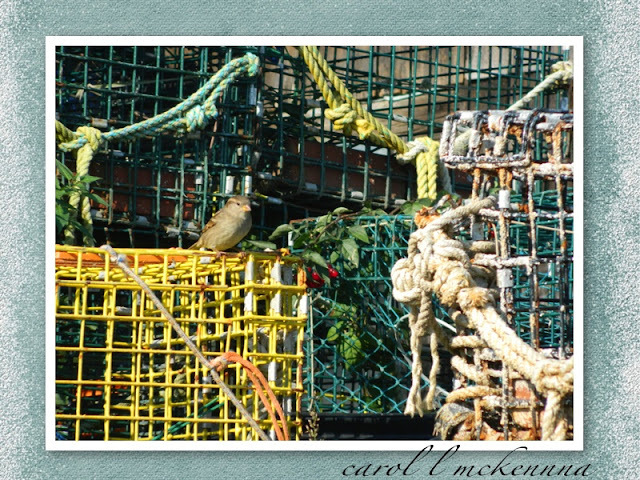 You know my thoughts are on textures today, Carol, and there is so much of it to enjoy in these images, especially your sparrow on the lobster pot photo! And the shadow-dappled golden tones of your window and flowers shot are just beautiful. Thanks to you and to ArtMuseDog for sharing a little piece of your world with us. Lovely Images, my favorite is yout friends house, with it's simplicity, shadows on the wall. Funny..we don't have lobster pots here in Florida but we do have crab traps...that is what my photo is of today ;)....well...at least one crab trap. Wonderful photos...a great way to start the day. I loved seeing the lobster pots...reminds me of our trip to Rockport, MA...which I adore! Love the shot of the bird on the lobster pots. Beautiful water scene. What a lovely little sparrow. Fantastic pictures. Love the window with the flower pots and the bird with the lobster pots is really charming. You have an eye for choosing great subjects for your photos. Wonderful photos....because I am a water person, I especially love your harbor shot. The colors and composition of the window box is lovely. Have a great week! looks so sweet! Have a wonderful week! Love the colors that you "uncovered" in the lobster pots/sparrow photo. Isn't it amazing the way our cameras "see" colors that are not obvious to our naked eye? While we may feel a bit nostalgic at the fading of one season, there is the excitement of the unfolding to another. I could not live very well where there are no seasonal changes. Great to visit here and check up on all your creative inspirations and your haiku. A beautiful post for Monday! Love the water scene.. I lovely series of shots. Our World is still down, so thank you so much for finding me anyway. Hi again! Thanks for stopping by my blog, leaving a sweet comment AND becoming a follower :) I greatly appreciate it. I am now following you and I look forward to your future posts. And thank you for your comment on my photography. I take that as a great compliment coming from a photographer such as yourself :) Have a wonderful day! You are a breath of fresh air, and innkeeper to a beautiful and creative respite for the soul. Thank you for what you do, and for bringing smiles to so many! Thanks for stopping by my "Tenderness" post and your supportive comments. Beautiful photos! Love the shot of the mums in the windowbox. I enjoyed visiting your lovely blog.